Month of April is always my favorite for so many reasons, There are many birthdays in the family from start till the end of April month. (for the love of cakes definitely) Besides other birthday celebrations, My favorite celebration is my CK’s birthday. 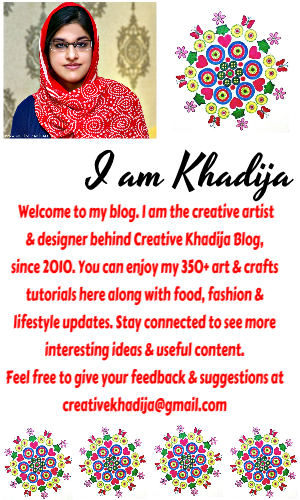 Oh yeah CK stands for my very first & favorite blog Creative Khadija. 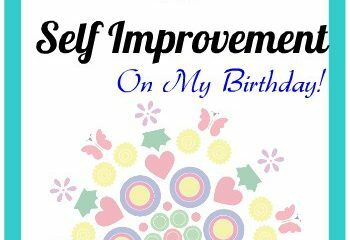 Today my baby blog turned 6 years old MashaAllah. I am so happy, Its hard to believe how this fun journey started years back & still going on successfully. I remember how my blog was crawling and then started taking steps just like a baby!! Its running now Alhamdulillah. What a wonderful journey throughout. These are the best years of my life no doubt. Anyways, Last year on my 5th blogversary, I celebrated it & I shared a long recap kinda writing. Do you remember? (Check here again if you would like to read) But this year I think a tiny miny recap of 6 years of blogging is fine. Blog was going great & getting lots of success! I made many blogger friends who are still my besties. They are best part of my online life. Blogging & university both were going great. I left blogspot & jumped into wordpress thing! I were doing everything a-z alone at blogspot but as a dumb with wordpress thing, my brother helped me with everything. From blog design to tech stuff. Thanks Co-Admin CK! It was the right time to decide something & take a step forward ! So I started selling my handmade arts, crafts, paintings & fashion design projects. Alhamdulillah response was great. I got some really good projects & then I plan to start my business properly. Blog was getting neglected a little but I work hard to manage both tasks. After completing university education, When everyone started jobs while I were not in a mood but I submitted some CVs for a job too. I think I am my very own boss So I concentrate more on what I want to do. haha. Art is what I can do happily. I got good sponsors and affiliates for my blog. 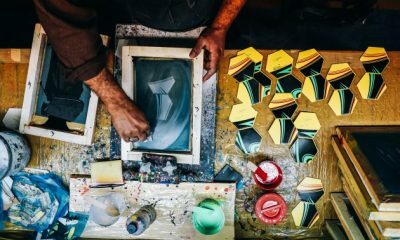 I enjoy blogging while focusing more on my handmade business. But freelancing was also going well. I slow down blogging a bit & focused more on my art sales, stepped into digital marketing as well. Getting featured & published as usual. Started working with a UK based fashion designer. Also started writing for some international blogs and website. Okay 2016 blogging journey just started, But to be very honest, Year 2015/2016 (so far) is the most successful of all previous years. I were only into hobby blogging but when I realize its not just blogging, I can earn handsome. So I take it seriously in last two years. And things started working wonderfully Alhamdulillah! It’s not about how eagerly I were running behind success or fame or money. It’s all about my passion, I never get bored a single day through this creative fun journey. Every other day I get opportunities & encouraging compliments from my clients, my customers, my wonderful readers from all over the world. They make me feel special. The whole motivation behind all this was the support of my friends, readers, followers, clients and customers. You art lover people are really motivation behind all this success. 8 beautiful giveaway products worth $150, Let’s see! PakStyle.pk is an emerging online marketplace for online shopping in Pakistan that offers a large variety of fashion clothing & accessories for him & her. 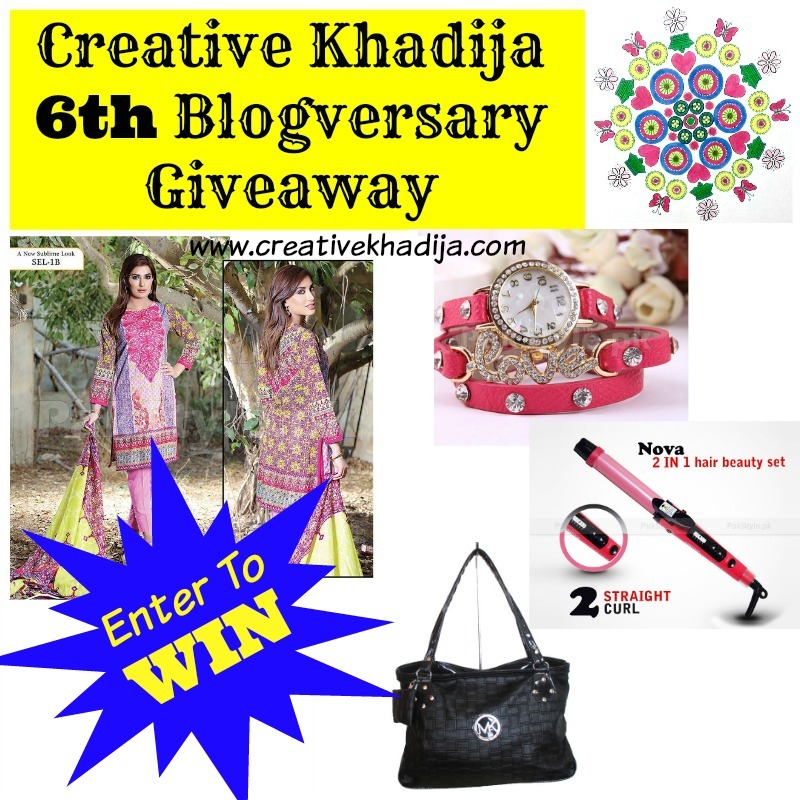 PakStyle.pk is hosting a big giveaway in the celebration of Creative Khadija Blog’s 6th blogversary. In this giveaway you have a chance to win a designer embroidered lawn dress 2016, A ladies shoulder bag, A love charm leather bracelet watch & a 2 in 1 straightener & curler. 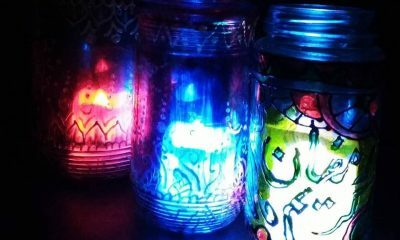 Very girly & perfect giveaway for summer from PakStyle.pk! Isn’t it? Let’s see whats next. PandaHall is having amazing collection of crafts & jewelry making supplies. I love visiting their store online. 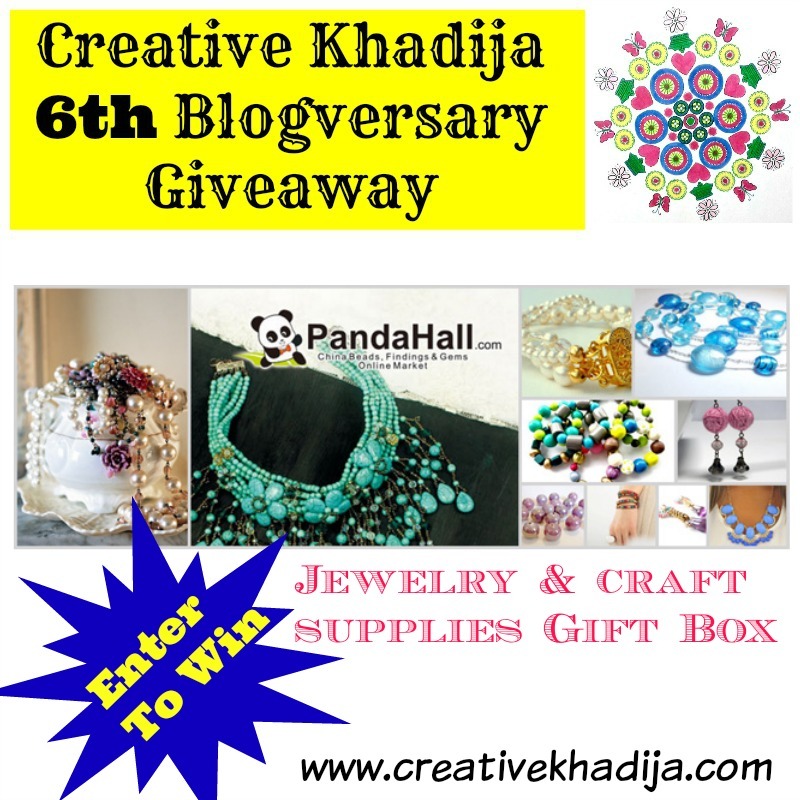 They are giving away some beautiful craft & jewelry making supplies to one lucky winner. There is a box filled with beautiful supplies. This giveaway is open worldwide. You can enter from any part of the world. Yay! 1- Comment in this blog post & Share this post once Publicly. 3- Visit PakStyle.Pk & Like their Facebook Page. 4- Visit PandaHall & share your favorite jewelry making beads. 5- Like Khabees Orat page on Facebook. There is no hard rule to enter this giveaway, Visit my sponsors, Like them & comment me on this blog post. If you will Share this blog post on your social media that would be extra 5 entries & you are done. The more social media shares links you will be dropping in the comment section, the more chances to win are here. There are 8 giveaways. PakStyle.pk & Khabees Muggay is open to Pakistan residents while PandaHall giveaway is open Worldwide. Leave your email in the comment form, So I can easily contact you if you will win. Giveaway will be ending 5th May 2016. Winners will be selected randomly. I will announce via blog post & email too. Okay, Giveaway detail is over now. Hurry up & enter.. This year I am not giving away something handmade by me. I am hosting these beautiful goodies for you. I hope you will like it. But I will be coming up with my creative giveaway soon. Stay connected! While stepping into 6th blogging year, I would like to say a BIG BIG thanks to everyone who reads my blog, who like & appreciate my work. 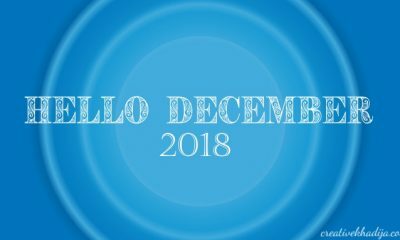 I am glad to be a part of this wonderful blogging world. I admit I was not a perfect blogger, (I still am not) But I got some great friends here who supported me in learning blog & helped me in continuing this long blogging journey. So I am here today! Thanks to the sweet family & friends who support me always. I love & respect you all. Stay blessed & connected my friends. Many heartiest congratulations dear. May Allah bless you with more success. Participating in giveaway. Done all steps, just not using Pinterest. Thanks a bunch dear Shumaila. My pleasure. Good luck for the giveaway! Pinterest is an extra entry though. I always loved your creativity and of course your blog! Thank you Maha, You are too kind. I love helping & supporting new bloggers. That’s it. I would love to see yours 6th blogversary post one day :) Ready? Good luck for the giveaway!! 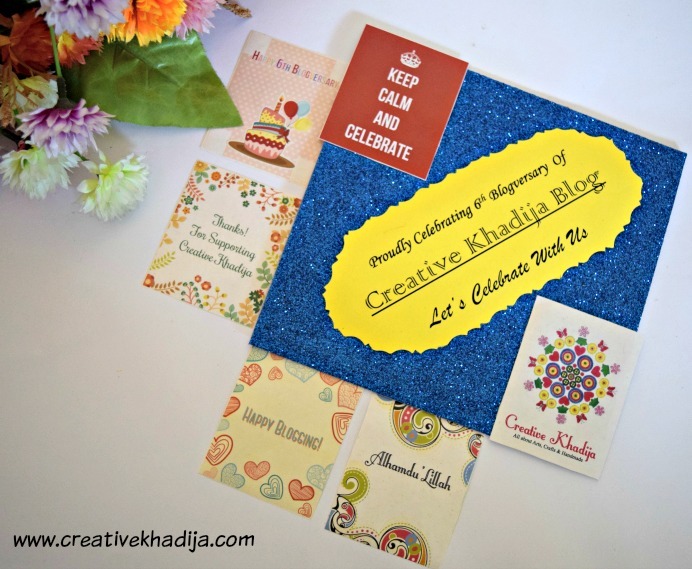 Congratulations Khadija on 6 amazing years with your blog! Looking forward to the coming years of more craftiness. would love to have Sifona suit……. Thanks Anmol, Good luck for the giveaway! Congratulations! This is so exciting!! Wahoo! Done each and every step properly and carefully. 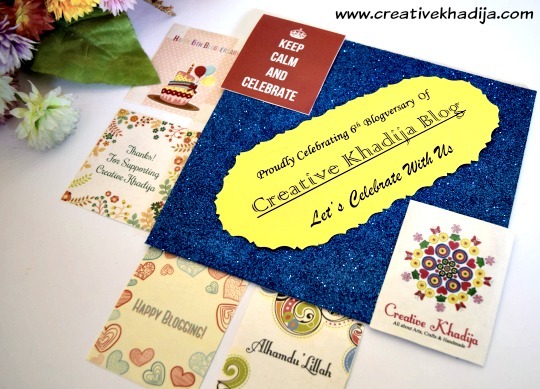 Lots of congrats Khadija…. wish you more success ? Really want to win something from such a creative person ? Thanks a lot Maria. So nice of you for the well wishes! Good luck for all the entries! wow cOngratulations !!!!!! lOvely Giveaway !!!! Thank You Iqra :) Best. 6 Years, Woww..!! I would like to Congratulate you upon the completing of 6 amazing years with your blog. I read this post completely and your history seems good. I’ve reviewed couple of posts from your past years as well and noticed continuous improvement in your work, MA! It’s good to see that your enthusiasm remains the same. May Allah bless you with more success and knowledge. Your well wisher, hope you got me! Thank you for the well wishes & reading my article. Indeed these 6 years are amazing. btw you missed your chance to win my giveaway!! Wow congratulations :) I like your blog very much, you are very creative! Thanks a bunch. So nice of you! Lots of congrats…. 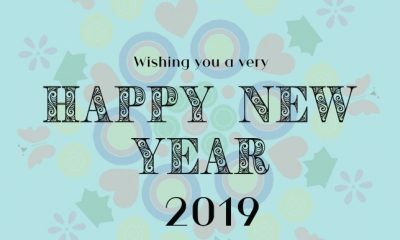 stay blessed and lots of love for the upcoming years. May you have many many more anniversaries to celebrate. all social medias with the accounts mentioned above. Thank you for the well wishes. Good luck at all the entries :) Stay blessed girl. There is a lot of hard work & struggle. Alhamdulillah at every successful venture throughout. Fingers crossed for your giveaway. Congratulations, and thank you for sharing this giveaway on The Really Crafty Link Party this week! I wish you many more years of blogging success! Congratulations a lot :) ALLAH PAK give you more success. 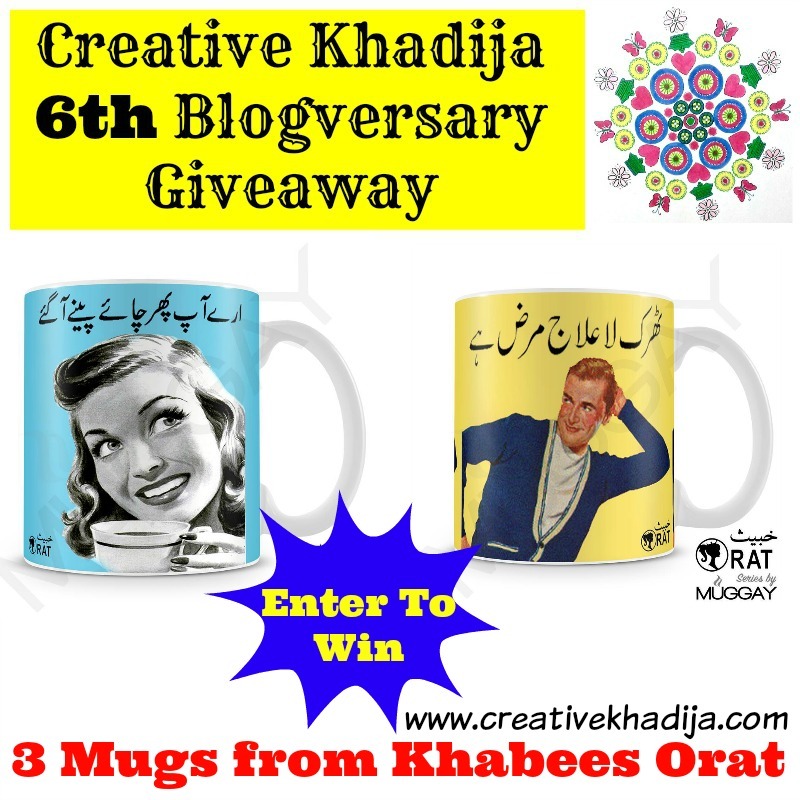 & its such a Superb giveaway & i cant miss the chance :) Thank u so much for hosting it. Thanks a lot for the well wishes. So nice of you! All the best at all these entries. Thank you for following all the steps. Good Luck! Thanks Mishal for entering! Good luck. Thanks a bunch Kinza for entering & following! Best of luck. Hi, Kiran – congratulations on such a winning streak – 6 years is amazing. I loved reading your timeline with your personal perspective on each year on the blog. I should do something like that, it would be pretty interesting to look back. I’m so happy you are still having fun as well as earning from your creativity. What a great blessing it is to be able to do that – it’s rare in this world. Much love from Los Angeles! P.S. I love Panda Hall beads, especially plastic ones with an Asian carving – they have things I don’t see anywhere else. Thanks a bunch for the well wishes and sweet words of appreciation. Pleasure is all mine! All the best for entering the giveaway. Indeed PandaHall have some great collections of unique supplies. Thanks for sharing superb informations. Your web site is so cool. I’m impressed by the details that you¡¦ve on this site. It reveals how nicely you perceive this subject. Bookmarked this website page, will come back for more articles. You, my friend, ROCK! I found simply the information I already searched everywhere and just couldn’t come across. What a perfect web site.